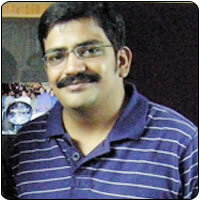 Music director Guru Kalyan entered the film industry with his musical score in Maathi Yosi. His next venture is Kotti for Aanjhana Cinemas. Guru Kalyan says that Kotti provided a strong scope for bringing out the musical talent in him. The songs for this film have been penned by Viveka and Sivan – the director of Kotti. The music director has used some of the best Indian singers like Harish Raghavendra, Ranjith and Harini and a US-based orchestra for this film. The audio has been mastered at the popular studio - Superdigital – in Oregon, he said.